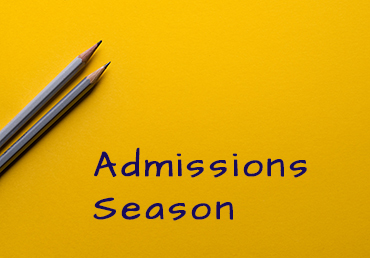 This is the time of year where private, independent schools across the nation engage in, what is commonly referred to in our field as, “Admissions Season”. At Clariden current students have priority in admissions, meaning that they have the first opportunity to confirm their spot for the upcoming 2019-2020 school year. Following current students, enrollment opens to siblings of current students and then to the families that we currently have on our wait-list and to families that are currently in the admissions process. Details with specifics and dates/deadlines are in the packet that you recently received in the mail. If you have not received a contract packet in the mail, please let us know. As is typical for private schools should you need tuition assistance, please connect with us. Rose and I are happy to assist. As some of you know, over the past two decades I’ve been the keynote speaker and session speaker for conferences in my field, taught parenting classes and worked with countless educators and administrators across the country. Education matters in a variety of ways. It’s not only the knowledge that children learn that is important but how they learn it and if they master it. The environment within which children learn greatly impacts not only their learning but it shapes who they become. Do they feel safe, does their teacher have time to work with them and to listen to them, do their ideas matter, are they allowed to take risks and be creative? Are they given the resources and individual attention and time they need for healthy intellectual and social/emotional growth? Clariden’s educators consciously strive to assure that our students learn in ways that challenge them, allow them to be heard, take risks and assure that ideas can be shared. We don’t teach to a test, which gives our students a huge advantage when it comes to the breadth of knowledge they learn and master. Our projects, curriculum, educators and learning environment as a whole are fully accredited and award-winning. We’re incredibly proud of the programs we offer, the recognition we’ve received, and the success our students have. It’s huge and it all matters greatly. Recently being voted Best In Industry in Tarrant County, aids in validating the quality of a Clariden education. I hope that you’ll choose Clariden for your child. Being a part of a village and knowing that one belongs is important. I often think about the lyrics from the Cheers (sitcom) song where it states: “Sometimes you want to go where everybody knows your name and they’re always glad you came…” We know our students (by name) and we’re always glad they came! ← There is much to be grateful for!